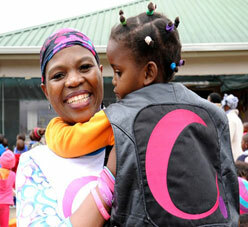 ride for cancer scheduled for September and aimed at getting communities talking about cancer. 2 300km route will stop in towns to educate residents on how to detect cancer at an early stage, and how to gain access to appropriate treatment. Over the past 4 years, the Ride entertained, engaged and educated more than 180 000 people across 8 provinces and in 7 languages through travels over a distance of 10 000km. The 5th annual Cancervive Awareness Ride takes to the road from the 10th – 19th of September, with the main aim of getting communities across the country talking about cancer. An entourage of more than 65 cancer survivors, supporters, media and emergency services will embark on a 2 300km route, stopping over in towns to educate its residents on how to detect cancer at an early stage, and how to gain access to appropriate treatment. This survivor-driven project uses performing arts, music, poetry, dance and storytelling to convey personal messages of survival. There are many people in this country that know very little to nothing about cancer and when faced with survivors on stage relaying their stories, personal insights are given on how to identify or even prevent cancer. The group aims to do more than just provide facts about the disease – they also actively encourage conversations around it. Vital information on the various ‘shy’ cancers (that of the breast, prostate, testicles, cervix, ovaries and colon) are shared and discussed, and the visited communities are left better equipped to identify warning signs and care for cancer patients in their midst. Cancervive is a special awareness and educational project of People Living with Cancer (PLWC), an NPO founded by cancer survivors. The project is dedicated to informing people about early cancer detection, as well as offering support to people living with the disease. 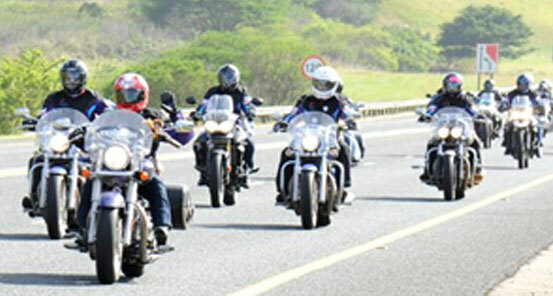 SPAR and Revlon return to the fray as headline sponsors of the ride, with Triumph, Caltex, Imperial Ford & Mazda, Meadow Feeds and Netcare 911 also contributing to the cause. The No.1 Cosmetics Brand in South Africa, Revlon, supports the passion behind the Ride. 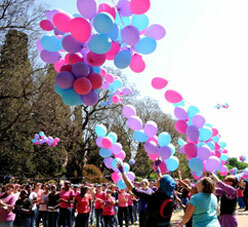 “We are honoured to be involved in raising awareness around this cause and the ways and means of beating it. The sincere dedication of the Cancervive team perfectly reflects the core principles of our company” says Revlon Communications Director, Adele du Plessis. #Cancervive 2015 aims to encourage conversations about cancer, removing stigmas and creating support for those affected by it. Through answering questions, sharing and listening to stories of survival and conveying facts about the disease, the battle against it is halfway won.